Computer keyboard shortcuts make our life easy. Instead of fiddling with numerous menus options just pressing a keys is always an easy and more professional way to perform computer tasks. Here in this post, I bring to you a comprehensive list of the most important computer shortcuts related o Windows, MS Word, Excel etc. 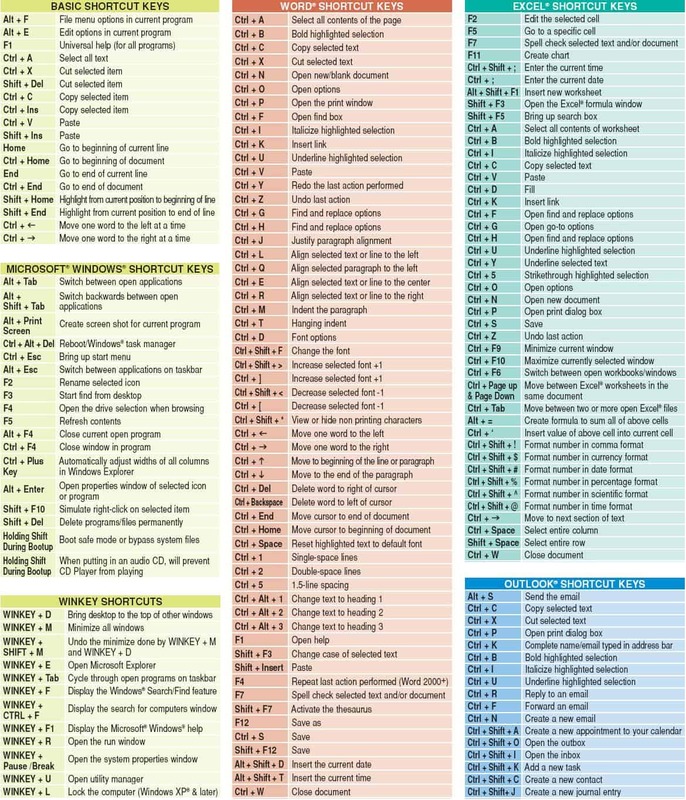 If you are seeing this post on a small screen and can’t see the computer keyboard shortcuts clearly, click on the image to enlarge it.